An electrical problem in your commercial property can grind your business to a halt. From an inability to work due to insufficient lighting to safety concerns if live wiring is exposed, you need to get your problem solved so that business can resume. It can be tempting to tackle the problem on your own, but this should never be attempted by anyone who is not a trained and licensed commercial electrician. If your building needs electrical work done you should always contact a professional you can trust to ensure all safety standards are met. Whether you are repairing a problem in your building’s existing electrical work or seeking to expand your current grid, it is important to have as firm a grip as possible on your needs before contacting a professional. 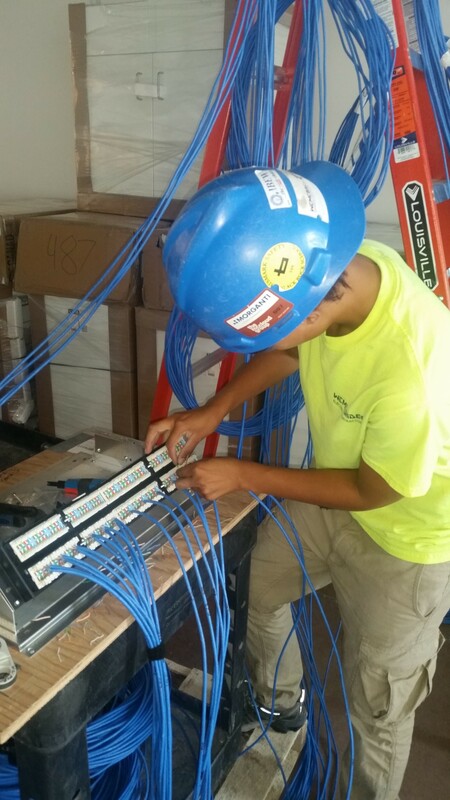 This will ensure you select a commercial electrician with the skills required to handle the job. Entering into discussions with your electrician with a grip on what you want done will help to get the most accurate possible quote. While you can never fully safeguard against the discovery of additional complications on a job, the more detailed your quote is the more closely it will resemble final costs. A great resource for finding a quality commercial electrician is checking the satisfaction of their prior customers. Direct contact with past clients allows you to speak to past customers and ask about the quality of work provided. Online reviews are another excellent resource, and should always be checked out before hiring. If past customers loved the work provided, it’s likely you will, too. Getting the right commercial electrician is essential when getting electrical work done on your building. By avoiding the temptation to do it yourself, and checking to make sure the contractor you hire is a good fit for your needs, you ensure you’ll get the best possible results.